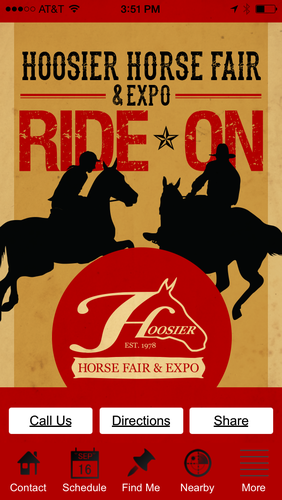 The Hoosier Horse Fair app is the best way to interact with your favorite clinicians, demonstrations, shows, horses and riders before, during, and after the fair! 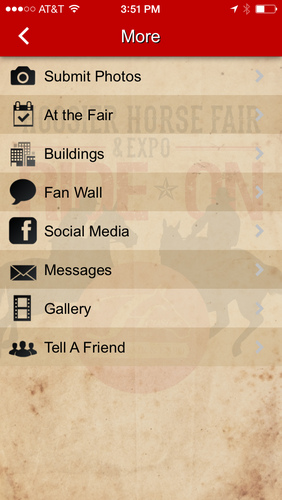 Use our interactive message board to give us your feedback, upload photos of you and your friends at the fair using our gallery feature, and find your friends, car, or favorite vendor using our locator tool. Be a part of special contests and promotions with our loyalty tab, share with your friends, post on Facebook, and scan QR codes to vote in our Best of Show all through the app. 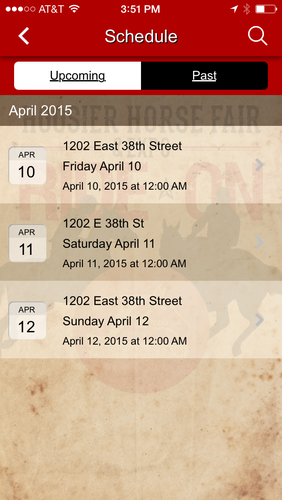 Use the map, vendor list, and clinician breakdown to plan your every stop, and be sure to check out our Kid’s Activities, all through the easy, fun, and interactive features of our Hoosier Horse Fair & Expo app! 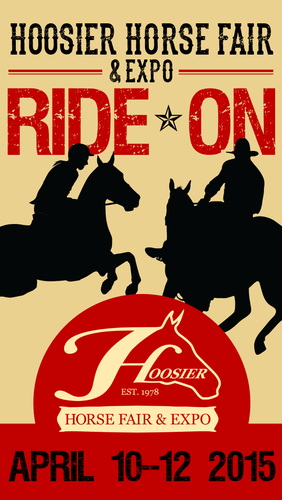 This is the best tool to help you interact with the Hoosier Horse Fair & Expo, April 4-6 2014 at the Indiana State Fairgrounds, where there’s something for everyone.